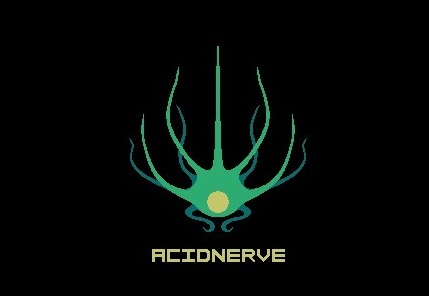 Acid Nerve has done it. The pixel art adventure we were expecting for such a long time, after struggling against the difficulty of the Souls series, and looking from below the greatness of Shadow of the Colossus. 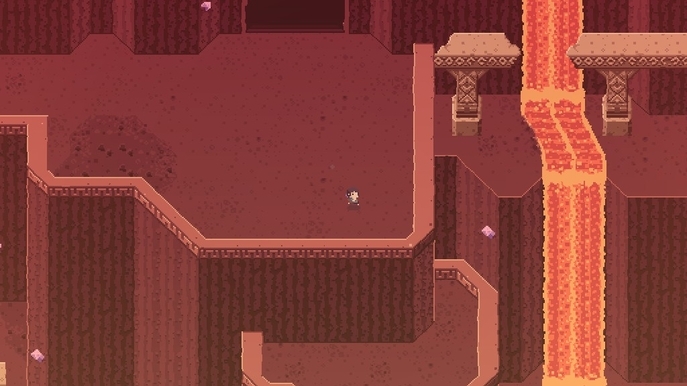 This is the Indie action adventure; Titan Souls. The story is set on a fantasy-decaying world of ruins. Here, you can travel around forests, winter ruins, lava dungeons and more. Venture to encounter the Titans living within. You have a single arrow to defeat all the Titans, but fret not! With some sorcery you can call back your arrow by holding the same attack button, it will drag itself back to you and be ready for another shot. You can strike at first with the arrow, some might think its rather simple, but guess what? You can strike a foe with call-back arrow trajectory as well. Sometimes the environment will aid you by powering your arrow of just simple mechanics to ease the fight. These are the bosses of the game; they are specifically designed with repetitive and some predictable attack patterns. They all have a vital “organ” or light that is revealed, this is their weak spot. It only takes one arrow strike to defeat a Titan, however, some can either have some sort of protection that can take multiple hits or use range or melee gimmicks that will ruin your attempt. Sometimes even the weak spot is the Titan’s strongest weapon, so pay close attention to both you and your enemy’s moves and remember, you can use their attacks against them. Controls are very straightforward; you shoot the arrow by aiming with the analog stick and holding the attack button, charging it to go farther or bounce harder while, and you have a tactical dodge roll. Your general movement can prove to be quite slow, although you can hold the roll button and sprint, so dodge and run as much as you can. 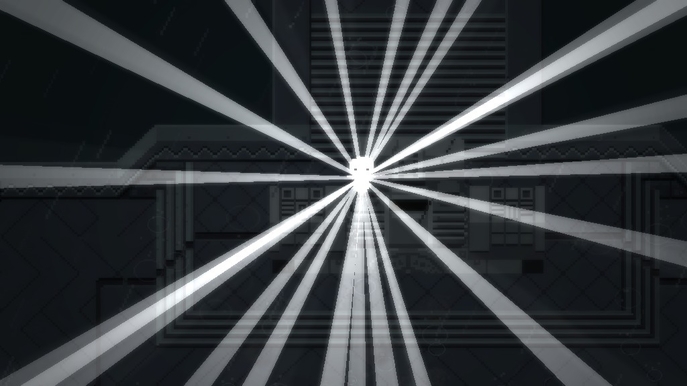 Once you have figured the puzzle of beating a Titan, your arrow will get encrusted into it, pulling it out will release a wave of souls that will join your body in a magnificent display of energy, and then… silence, the boss room will lose its light and the boss music will stop. You’re in there, with your bow & arrow… alone. TIME FOR ANOTHER TITAN BATTLE, I GUESS! For the record, once a Titan is slain, you can go back to its boss room but will only find the body on the ground or paralyzed in spot; hence, no repeatable boss fights unless you restart the game. On New game + you can try out No Rolls Mode, Iron Mode (1 single try) and Hard Mode. So, you think that by beating the first four Titans and opening the first gate you’re a master already? Ha! The game is much more than entering rooms and learning patterns. 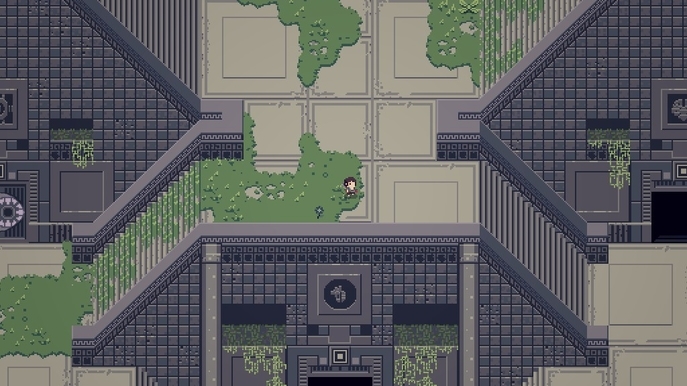 After you beat the first 4, you will unlock the next area, here you can travel and explore as much as you like; swimming across rivers, climbing vines and entering hidden passages, getting lost in the forest, etc… You will encounter world puzzles to open new doors, each with a new Titan dwelling inside or outside. Ok, but where is the “annoying” factor? It’s a trial and error game, hence, you should be able to quickly restart and go again, it makes the game get a more dynamic pace for the genre. 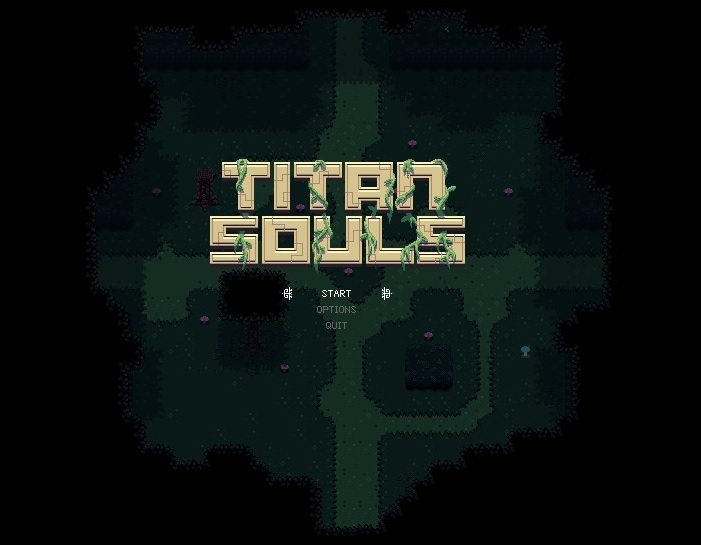 Unfortunately, Titan Souls can take its time to load, not much, but enough to make you wonder about your mistakes and plan a new strategy. 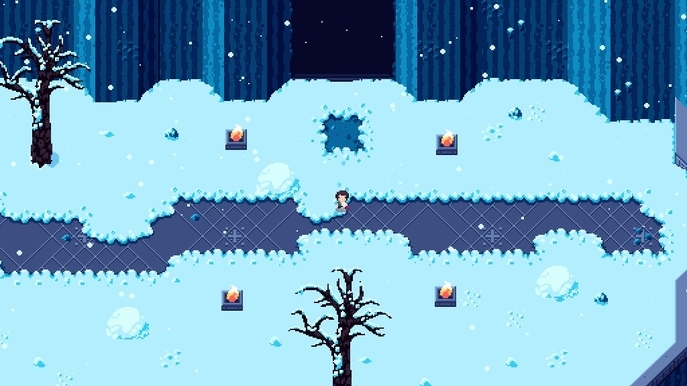 When defeated you get ported to your last checkpoint, which are these magical circles in the ground that show you your boss’ kills with glowing lights. Usually these checkpoints are placed in front of your boss hub if you can call it like that, but I would probably suggest respawning at the last boss’ door to retry him if it’s the last boss in the area, however, some special Titans offer this. Also, bosses may each have their own pattern, but sometimes they have unnecessary gimmicks that only make the fight tougher, forcing the player to memorize instead of actually using skilled tactics. On some occasions, the patterns can be random, making each of your attempts like a Russian roulette, not much of a fun factor. 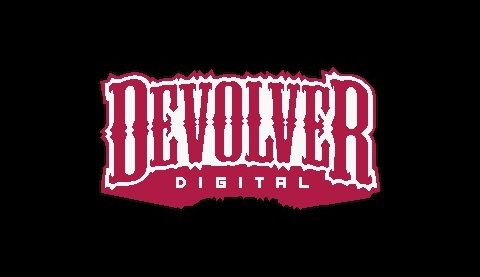 There isn’t much of a development mechanism in the game other than unlocking new areas, your character will always be the same and defeating a boss can be anti-climatic. I suppose all the Dark Souls character level up you may or may not want is reflected in this game as your own gaming skill and ability to learn and apply techniques. The pixel art is very detailed; the game features many zones with nicely selected color palettes. Boss designs can either be simple or complex, and they are integrated well in their respective boss rooms. The whole idea of using ruins and giving them life with mystical energy, or souls gives Titans their own personality. Animations are simple, as you would expect for the main character, but Titans have unique animations that also help build their identity. The soundtrack works with well balanced and mixed acoustics, each that will cue in a smooth a calm manner when entering a new zone, except it becomes abrupt the second you start a boss fight, of course. Each Titan has a charismatic tune that resembles their personality, genre wise. Titan Souls is a piñata that you will keep hitting until it bursts, only to find that it doesn’t have candy, but sweat and tears. + Interesting travelling and challenging encounters. 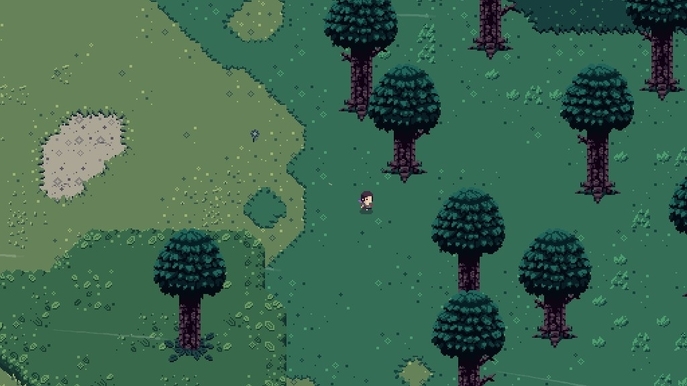 + Remarkable pixel art design for environments and characters. + Music cues resemble each zone and Titans. - Story is almost cliché, dissapointing lenght of the game, and anti-climatic Titan defeats. - Some unnecessary elements are added to boss fights with the sole purpose of making them harder, putting aside the skill and fun factors.